SEOUL, South Korea (AP) — The spectacle and surprise on display at the three inter-Korean summits this year have been, at times, intense. The fourth one could be surreal — if it happens. Imagine North Korean leader Kim Jong Un rolling through South Korea’s ultra-modern capital in an armored limousine flanked by crew-cut bodyguards running in crisp, military formation — the same streets where millions protested two years ago to bring down a corrupt government. Or what about Kim taking an evening stroll through affluent southern Seoul, stopping by the soaring Lotte World Tower to soak in the majestic skyline above the broad Han River — not too far from where protesters regularly burn effigies of him? All this, and more, is possible after Kim and South Korean President Moon Jae-in announced in the North Korean capital of Pyongyang this week that Kim has accepted Moon’s invitation to visit Seoul soon, maybe within the year. A visit to his nation’s sworn enemy by the third generation of his family to rule North Korea since the nations were divided and then fought a bloody, three-year war that still technically continues would be a truly historic event that could test Seoul politically and logistically. Moon’s supporters would welcome Kim’s visit as a significant step toward peace. But South Korea is deeply divided along ideological and generational lines, and there would be no shortage of vibrant outrage from the anti-Pyongyang activists who loathe the despot from the north. If he does come, Kim would be the first North Korean leader to visit the South Korean capital since the 1950-53 Korean War ended in a cease-fire. Kim’s sister, Kim Yo Jong, became the first member of the ruling Kim family to visit Seoul in February, when she attended the Winter Olympics in South Korea as a special envoy and conveyed Kim’s desire for a summit with Moon. During the first inter-Korean summit in 2000, Kim’s father, Kim Jong Il, told then-South Korean President Kim Dae-jung that he would visit Seoul at an “appropriate time,” but that time never came. He died in 2011. However, Kim Jong Un, a decidedly more charismatic leader than his reclusive father, could follow through. Since launching a diplomatic initiative at the start of the year, Kim has gone out of his way to present himself as an international statesman. He has shared food, wine and laughs with South Korean officials and seemed thoroughly at his ease during a highly choreographed June summit with U.S. President Donald Trump in Singapore. During an evening sightseeing tour he cheerfully waved at bystanders and viewed the skyline at Singapore’s towering Marina Bay Sands. A Seoul visit between late November and early December could be a good bet. The rest of September won’t work. Moon will be in New York next week for the United Nations General Assembly, where he plans to meet Trump to discuss the nuclear issue. October could also be difficult because of the time needed to prepare for such a visit. And North Korea will likely be focusing next month on getting talks with the United States back on track before the U.S. midterm elections in November. 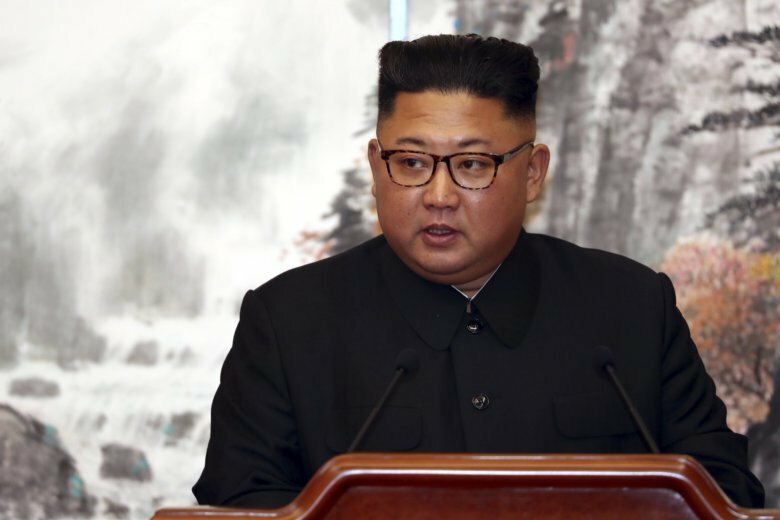 As December wanes Kim will need to prepare for his major New Year’s address to his nation, which he annually uses to announce major policy decisions. How Kim is received in Seoul, if he comes, could depend on how he handles nuclear disarmament in coming weeks. A summit in Seoul would have much deeper diplomatic weight than those that have come before, requiring South Korea to prepare a lavish welcome that could match Moon’s reception this week in the North. Moon was treated to Pyongyang streets filled with tens of thousands of cheering residents. And he delivered a speech to 150,000 at the city’s May Day Stadium during mass propaganda games. An effusive reception for Kim would be a sensitive issue in the democratic South. Many South Koreans still harbor deep anger over the North’s 1950 sneak attack that started a war that killed and injured millions. There has been occasional bloodshed ever since, including two attacks that killed 50 South Koreans in 2010. Because Moon must create a positive atmosphere for Kim’s visit to Seoul, he needs to coax more progress from the North on denuclearization, said Koh Yu-hwan, a North Korea expert at Seoul’s Dongguk University and a policy adviser for Moon. The visit could even develop into a three-way meeting including Trump, something Seoul wants so that the leaders can declare a formal end to the Korean War. The United States wants to see the North take concrete steps toward denuclearization before there’s any such declaration, which wouldn’t be a legally binding peace treaty but could make it easier for North Korea to steer the discussions toward a peace regime and security concessions. There are big doubts in Washington about Kim’s willingness to relinquish his nuclear program. This week, Kim promised to allow outside experts to observe the dismantling of a missile engine test site and launch pad. He also expressed a willingness to dismantle the North’s main nuclear facility in Nyongbyon if the United States takes unspecified corresponding measures. It’s unclear whether that would be enough to get Washington to agree to a quick end-of-war declaration. South Korea doesn’t have a huge state guesthouse like Pyongyang’s Paekhwawon, where Moon stayed this week. That leaves one of Seoul’s luxury hotels. The most obvious candidate is Walkerhill, which is where Kim’s sister stayed during her visit to Seoul. Nestled on a hill along the Han River, it’s away from Seoul’s bustling downtown and regularly handles high-security events and high-profile guests. There could be a problem, though, if Kim worries about irony. The hotel is named after late U.S. Army commander Walton Walker, a war hero in the South because of his exploits against the North during the Korean War. South Korea would roll out for Kim’s protection thousands of police officers who are well used to corralling Seoul’s vibrant, very occasionally violent protesters. The police would spend weeks training, but they’ve got plenty of experience: Rallies by anti-Pyongyang demonstrators didn’t pose much of a security threat during Kim Yo Jong’s visit to the South earlier this year, for instance. And during Trump’s visit to South Korea in 2017, more than 15,000 officers provided security, using hundreds of police buses to create tight perimeters near Seoul’s presidential palace to wall off anti-Trump protesters. Unlike Moon this week in the North, Kim probably wouldn’t deliver a speech in a stadium packed with thousands of South Koreans. But he could speak to a smaller group like Chinese President Xi Jinping did with students at Seoul National University in 2014. A lesser but not impossible possibility is that Kim could address South Korean lawmakers at Seoul’s National Assembly to call for stronger legislative support on summit agreements. It could be a challenge for Moon to persuade the Assembly and South Korean public to accept inviting a North Korean leader to the core institution of the country’s democracy. “I hope there will be an opportunity for our people to see Chairman Kim in person and hear Chairman Kim share his thoughts about peace in the Korean Peninsula in his own voice,” Moon said Thursday. First, however, Kim’s got to get on the plane south. Follow Kim Tong-hyung on Twitter at @KimTongHyung.